Play the hottest online slots this February at SlotoCash Casino with big bonuses and a $100 free chip! Redeem the coupon codes SLOTSLOVE-1 and SLOTSLOVE-2 to claim your 150% and 200% bonuses and then claim your $100 free chip reward with the coupon code FREE100LOVE and win up to $500. Good luck! 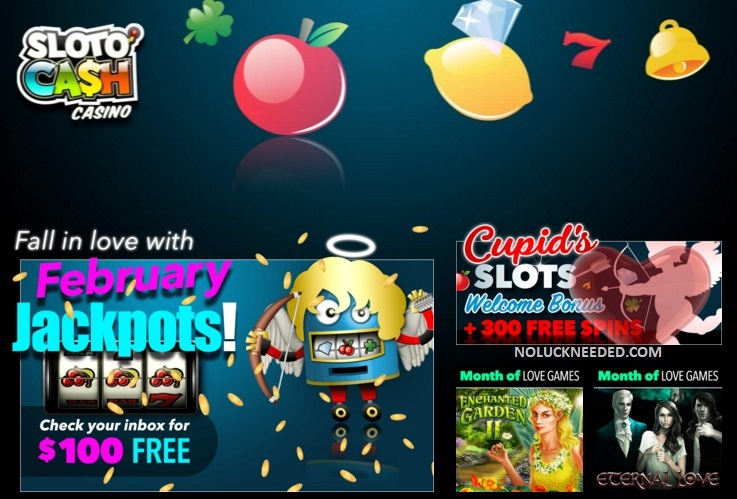 Claim Your February 2019 Bonus Codes and $100 Free Chip at SlotoCash Casino!